According to the Centers for Disease Control and Prevention, work-related hearing loss is the most common workplace illness, with 22 million suffering from exposure to hazardous decibels in the workplace on an annual basis. Hearing loss is debilitating, and not just because a person has lost one of his or her senses. 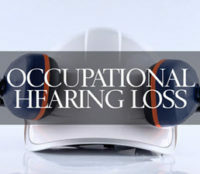 Work-related hearing loss can be painful, and many sufferers complain of a sharp piercing or jabbing in their inner ear when exposed to any noise above a whisper. If you suffer from workplace hearing loss, or if you suspect that you may be losing your hearing as a result of hazardous sound levels in the workplace, you may have a workers’ compensation claim. The Tampa workers’ compensation attorneys at Barbas, Nuñez, Sanders, Butler & Hovsepian can assess your medical records, work history, and work environment and help you determine if you have a claim and, if so, how to act on it. When the noise level is increased by five dBA, the amount of time a person can be exposed to that noise level is cut in half. A boiler room has a dBA of 90. Normal conversation has a dBA of 60, a construction site has a dBA of 100, and a jet taking off has a dBA of 130. The human ear’s threshold of pain is 140 dBA. While OSHA has a permissible exposure of 90 dBA, it recommends that all workplaces keep their sound levels at right around 85 dBA to reduce risk of work-related hearing loss incidences. Chainsaw, sandblaster, hydraulic press, or pneumatic drill. Ringing or buzzing in one or both ears. With early detection and proper management, you can slow the rate at which hearing loss occurs and even protect against further hearing loss. However, even slight hearing loss can be an impairment on one’s life and relationships. If your hearing loss is significant enough to disrupt your daily life, you may be entitled to workers’ compensation. 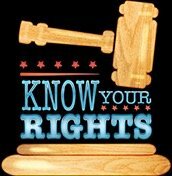 The Tampa workers’ compensation lawyers at Barbas, Nuñez, Sanders, Butler & Hovsepian are available to answer any questions you have regarding your condition and your rights and, if we deem it appropriate, take the first steps toward filing a claim. Call our office today to schedule your free consultation.